Re-decorated throughout with new carpets and refurbished shower room. Access via the main house with secure entry phone system and lift access to all floors. Attractive modern eye and base level units with plate rack and matching end shelf unit, integrated electric micro speed oven, two ring ceramic hob and extractor hood, integrated fridge, single stainless steel sink with drainer and tiled splash backs. Large double walk in shower unit with shower attachment, low level WC with touch flush system. Wash hand basin with cupboard beneath, part tiling to walls, wall mounted mirror with lights, wall mounted Medicare call monitor nurse station (24hr), radiator, extractor fan and large built-in airing cupboard with shelving. Ornate coved ceilings, non-slip vinyl flooring, wall mounted soap dispenser and wall mounted hand towel dispenser. The landscaped grounds are beautifully manicured and have stunning river views along the Thames. 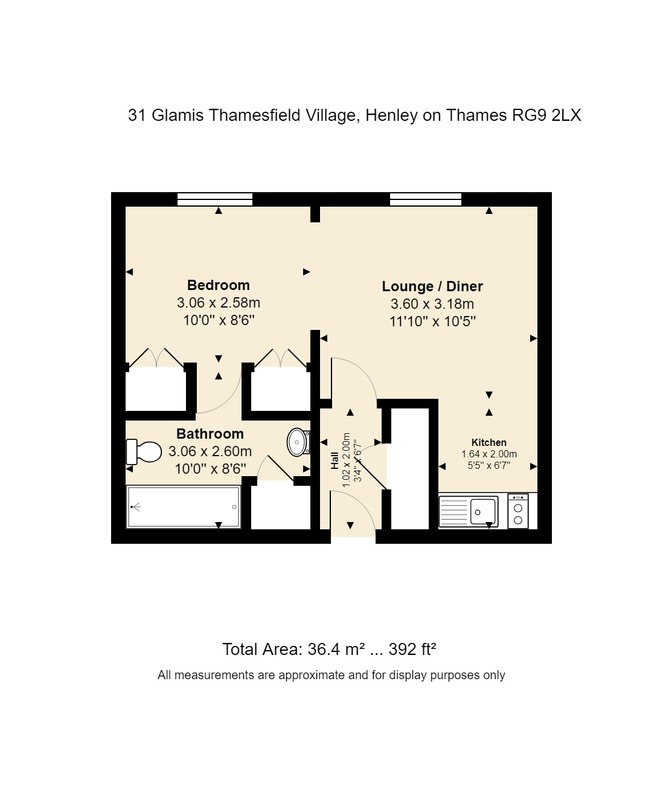 Thamesfield Village provides excellent communal facilities including the Orangery restaurant and a range of activities organised for the resident’s enjoyment.